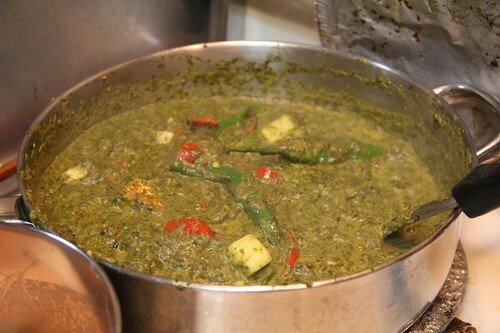 I wanted to make one of my favorite Indian dishes called Panak Paneer, which is Spinach and Paneer Cheese in a Curry sauce. I’ve purchase the pre-made packages from Trader Joe’s, but my Mom and other people in my family can’t really eat it, because it’s too spicy, so I wanted to try to make a mild version of it. I didn’t have much of the ingredients like the ground coriander and garam malasa, but I improvised. 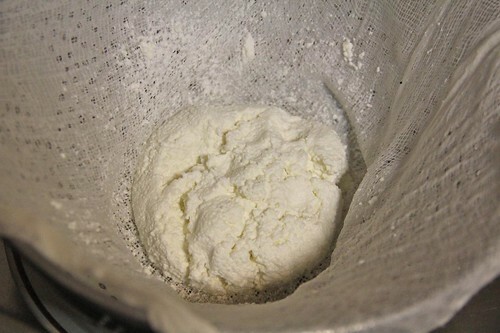 I started by making the Paneer (cheese) from regular whole milk from the grocery. 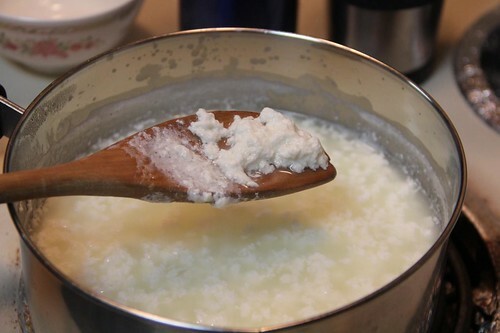 I brought a quart of milk to boil, then added about a tablespoon of lemon juice to make the milk separate into curds and whey. 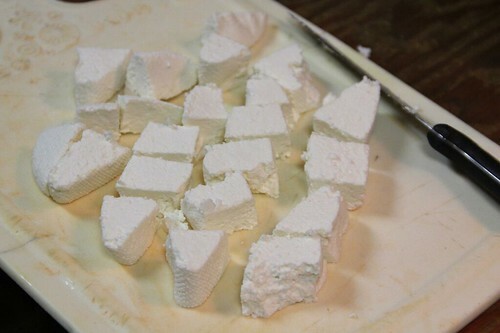 After pressing it for a hour or so, I had Paneer, which I cut up and fried until golden brown. Cooked this for a while, then blended it in a blender. 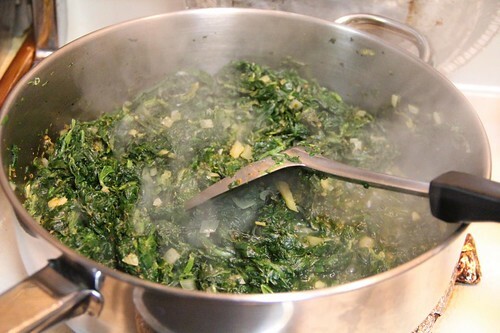 Then I just let it cooked for a while to let all the seasonings mingle. This entry was posted in Cooking and tagged Cooking, food. Bookmark the permalink.